​SportsAid athlete Elise Christie (TASS alumna) won two gold medals at the ISU European Short Track Championships on January 24 to claim the European titles over 500m and 1,500m. 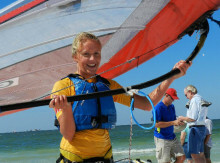 It is a remarkable fact in itself that 15-year-old Emma Wilson won windsurfing’s under-17 and under-19 world championship titles in the US in October but when you consider that she did so as one of the event’s youngest competitors, her achievement seems truly exceptional. 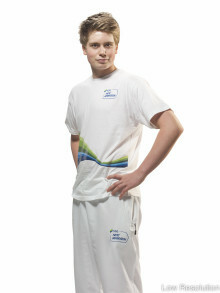 Three SportsAid athletes won bronze medals at the World Junior Diving Championships last week in Penza, Russia. After a fantastic season and winning the junior European championships British diver Kyle Kothari is named SportsAid's athlete of the month. 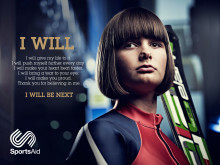 SportsAid alumni Mallory Franklin and David Florence win three golds each for GB at the slalom canoeing world cup event this past weekend. SportsAid netballer Helen Housby may have just booked her place at the Commonwealth Games this summer after a break-through year with Manchester Thunder that ended with the goal of a lifetime and her first call-up to the England squad. Great Britain’s junior women’s artistic gymnastics team made up of SportsAid alumni has completed a stunning 2014 European Championships by winning two gold, one silver and one bronze medal in the apparatus finals on the final day of competition. 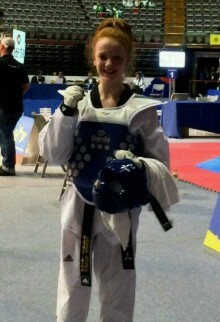 Rising taekwondo star Abigail Stones supported by SportsAid has just become junior world taekwondo champion. A full roundup on all the supported SportsAid athletes who competed at the British Gymnastics Championships in Liverpool. Led by rising stars Nile Wilson, Amy Tinkler and Alexander Buesnel who won all-around titles.